Because March is Women’s History Month, I used my post on WomensMemoirs.com today to write about three women I have always admired. They are all at the top of my list of the women I most admire. But I omitted the name of the one woman who will forever hold the top spot. I’ve reserved her for special mention here. That would be Rosemary Buehrig Bonnett. My mother. Moo, as our family and closest friends affectionately called her, was born in the small town of Tuscola in central Illinois in 1918. And as far as I can determine, she was different from practically everyone in her hometown…and I think they knew it too. You see, my mother knew exactly what she wanted to do from the time she was very, very young. Moo was an artist. It was her passion, shared only with the love she felt for her family. She won her first prize for drawing when she was just five. She passed math class by drawing architectural pictures for her teacher. She made posters for the local movie theater. Later, she often drew Hugh Chenoweth’s Polly Pippin comic strip when her friend and mentor was under the weather. 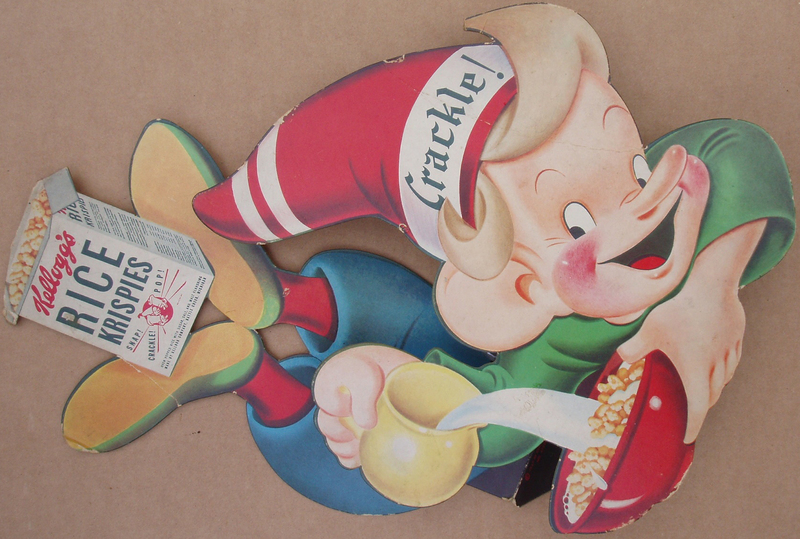 And she originated the cute, round Disneyesque form for Kellog’s Snap, Crackle and Pop elves. I think I know most of Moo’s stories because for as far back as I can remember, we talked. Dinner over, plates in the dishwasher, homework done, we’d sit and talk until it was time for me to go to bed. She told me stories of her childhood, the Great Depression, her years in Chicago first as an art student and later as a freelance commercial artist. I sometimes wonder if my interest in storytelling and memoir has its beginning in the life story she was passing along to me in the course of our evening conversations. I lost my mother in June 2001. I miss her and think about her every day. I think she’d smile to know the comfort I find in remembering her stories. She’d often emphasize the difference between her time and my own. It’s hard to imagine but people in her little town gossiped about the fact that my grandparents allowed Moo to go off alone to Chicago to art school. And when she was looking for her first job–at the height of the Great Depression–more than one company offered her a job for experience but no salary. I can still hear her concluding one of her adventures…always emphasizing how different it was. “That’s the way it was, Kendra,” she’d say. We owe a lot to the women who came before us, just as future generations will thank us some day. This Women’s History Month 2011, it’s good to stop and remember. I hope you’ll take time to think about the women you most admire…and read the rest of my list on WomensMemoirs.com. And find out how you can get two, free Rosie the Riveter Legacy Bandanas. 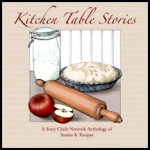 Kendra Bonnett is co-author of the award-winning memoir “Rosie’s Daughters” and one half of the team at WomensMemoirs.com–a resource for writing prompts, news, marketing/publishing advice, reviews and writing tips.